I got what I paid for. After all, it was Thanksgiving week in San Francisco. Despite the usurious rate of $89.99 a night (and that was 12 years ago), the postage-stamp sized hotel room had stained carpet, peeling wallpaper and towels as thick as toilet paper. They may have called it a non-smoking room, but everything smelled like stale cigarettes. The noise from the streets pushed through the cracks around the doorway, interrupting our sleep and leaving us bleary-eyed in the morning. The room made me grumpy, and I wished we had the luxury of staying in a clean hotel. The depressing surroundings only seemed to make the disappointing news even worse. Pedro’s white blood cell counts weren’t high enough for them to start harvesting stem cells. We’d have to wait until the Monday after Thanksgiving to have the port put in his neck so the harvest could began. We decided to drive over to Reno, NV where my parents had taken our girls for the week of Thanksgiving vacation. The good news? Leaving San Francisco for a few days meant escaping from the horrible hotel room. Pedro’s overall health at this point—weighing in at 135 lbs. on his 6’3” frame, a paralyzed face from the cancer in his spinal fluids and brain, neuropathy in his foot and hand, eyelids that wouldn’t close so that he couldn’t read or watch a lot of television—prevented us from ‘enjoying’ the city or doing pretty much anything but sitting around and playing card games. I needed a serious injection of hope. I said a selfish prayer that I’d find something nicer, yet cheap in Reno for a few days. 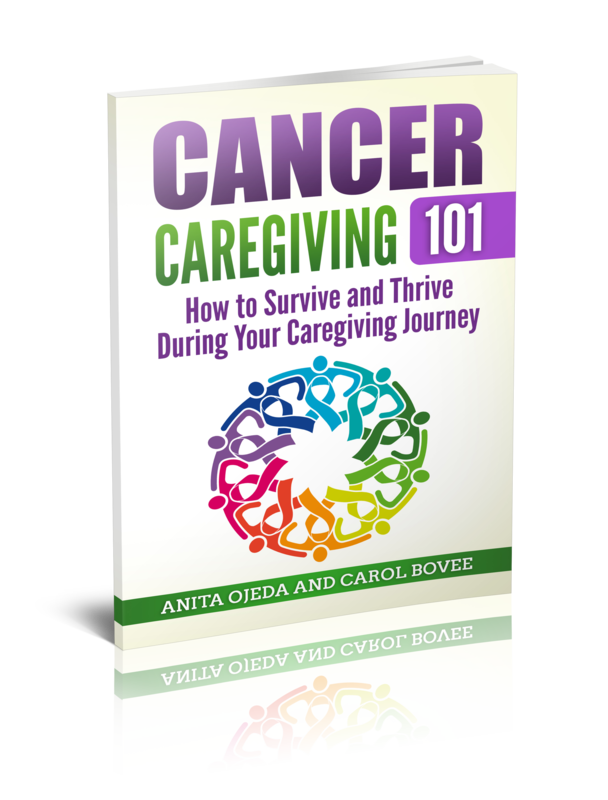 If I didn’t find anything, I knew we could stay with my parents and other family members at my parent’s time share condo—but I also knew it would be crowded and noisy and with so many people around, Pedro might end up catching a cold—and that would only set things back again. After checking the Internet for deals, I felt like I’d hit the jackpot when I booked a room at the Hilton for only $25.00 a night. When we arrived and checked into our room, I thought the front desk had made some mistake. Our living room, dining room and bedroom would have fit easily into the hotel room. Plush towels hung from the racks in a bathroom that our kitchen would fit inside of. A hot tub filled one corner of the bathroom—the perfect place to relax and soak away the dirty feeling left by the last hotel. The room restored me in an inexplicable way. We would be close to our girls and my family—but still have a luxurious retreat where we could catch up on sleep and spend some quality time together (something we hadn’t had since July). As I contemplate the advent, that horrible hotel in San Francisco always comes to mind. Just like Israel I felt beleaguered, bashed and betrayed—grumpy about our lack of prosperity and the fact that nothing seemed to be going right (mind you, Pedro had just experienced a miraculous recovery from a blood yeast infection not a month earlier—I guess I’m more like the Israelites than I’d like to admit…). And yet…Isaiah 9: 6-7 tells of a light…a promise…someone to save the people from their darkness…and give them hope while they wait. “A child will be born to us.” And he was born in a stable—a place dirtier and noisier than a cheap hotel room could ever be. I complained about the stained carpet and the stale cigarettes—but the child? He entered the world to the stamp of hooves and the sharp smell of fresh manure. His parents could only afford a cheap stable during the crowded census. Dank. Full of sweaty animals. Loud noises. No privacy. A prince—leaving the perfection of heaven to enter our dirty, sinful world. And not just for a few nights, but for thirty-three years. Because he came as a child of promise. A promise for now and for evermore. And you? How does the promise work on your heart? 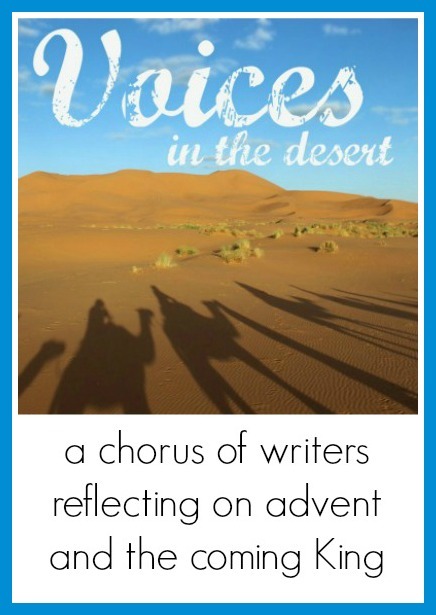 For more Advent devotionals, join us daily at Voices in the Desert.